Learn how to set up the Avid WordPress theme. This is a 20 minute video walkthrough of setting up your site to look like Avid’s demo site. Click the thumbnail below to play. Avid supports 6 post formats, selectable from the Edit Post screen: Gallery, Image, Video, Standard (text), Quote, and Link. Whenever you create a new post, choose an appropriate post format and follow the instructions below. Navigate to Posts → Add New. Choose Gallery in the Format metabox. This will change the post from a regular blog post into a gallery. 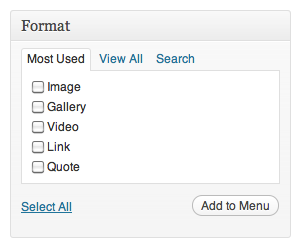 Optionally add a gallery title and description using the title field and WordPress editor, respectively. To add your gallery to the page, begin by clicking the Add Media button. Go to Create Gallery and either upload new photos or choose existing photos. When you have chosen and ordered your images, click Create gallery, then Insert gallery. Set a “Featured Image” by clicking the Set featured image link. This will be used as the thumbnail to represent the gallery throughout different pages on the site. Hover over the gallery embedded in your post. Click the image icon that appears upon hovering. In the Edit Gallery screen, drag and drop images to change the order. You can also add, edit, and delete images in this screen. To publish a single highlighted image, select Image as your post format. Then, set the Featured Image of your post to the image you want to highlight in the Featured Image metabox on the bottom right of the screen. The Featured Image will be included at the top of the post. You don’t need to click “Insert into post” on your featured image. Avid automatically uses the featured image you’ve set. Clicking “Insert into post” will insert the image into the content of your post, resulting in the same image appearing twice. To publish a video, first select Video from the post format box. If your video provider is not found in the above list, you can still embed your video using HTML embed codes. Embed codes are typically provided by video hosts (look for a “Share” or “Embed” button to get the code). Once you have the code, make sure you are using the HTML editor, and paste your embed code into the post content area. The video should now display. This post format does not use a Featured Image. Articles are regular WordPress posts: leave the post format set to Standard and create your post. Select Quote from the post format box and type or paste your quote into the post content editor. Your quote will now display using Avid’s custom Quote post format styling. The post title will not display in the timeline view — only the quoted text you enter will be shown. To add a citation, select your text in the visual editor and click the “cite” button, which is available in your advanced editor buttons. See the styling overview section for more details on Avid’s style buttons. Select Link from the post format box and type your link text into the post content editor. 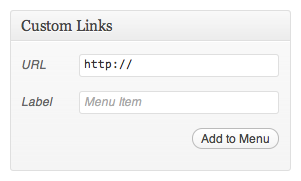 Next, highlight the text you just entered, and create your link by clicking the link icon in the editor. The post title will be ignored; only the linked text you entered will be shown. Avid adds a set of buttons to the visual editor; these buttons allow you to easily format your content with Avid’s custom typographic elements. To view these extra buttons, make sure you’ve enabled the “Kitchen Sink” option on the visual editor. Avid has four available page layouts, including the Default, Full width, Homepage, and Sitemap templates. In your WordPress dashboard, navigate to Pages → Add New and select one of the four templates available from the Template drop-down; your content will be formatted accordingly. 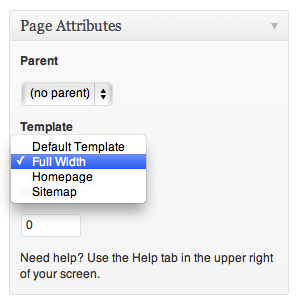 By default, your pages will include a sidebar (configureable on the Appearance → Widgets screen). If you want a page without a sidebar, choose the “Full width” page template. The Homepage template can be used as an alternative to the timeline view for your front page. The Homepage template includes a large featured slider above a smaller content area. Click Publish or Update, and you’re done. To create a Sitemap, you will need to use the Sitemap page template. The Sitemap page will be automatically generated; no need to write a single word. The Gallery/Images page is auto-generated. It uses your Gallery posts (and the images attached to them) to produce a special view for readers to browse your galleries. At the top of the page are two buttons used to toggle between the Galleries and Images views. The Galleries view is similar to the blog/timeline view — your gallery posts are ordered by publish date. The Images view is a unique display of all images attached to your gallery posts. Only images selected for a gallery will appear in the Images view. Clicking any individual image will take you to a larger version of the image. Since the Gallery/Images page is auto-generated, adding it to your menu is slightly different than a typical page. You will first need to take manual control over your menus. If you are not familiar with doing so, please watch this short video on WordPress menus to understand how to manually set up your menus. Once you’re familiar with setting up menus, head to the Appearance → Menus screen. The instructions for adding the Gallery/Images page vary depending on your WordPress version. On the Appearance → Menus screen look for the “Format” meta box. Check the Gallery format and click “Add to menu”. Finally, save your menu by pressing the “Save Menu” button. The Gallery format will not appear if you do not have any gallery posts. On the Appearance → Menus screen look for the “Custom Links” meta box. Set the URL to be http://www.yoursite.com/?post_format=gallery, replacing www.yoursite.com with your home page URL. Avid allows you to easily remove the author’s name, post navigation, post date, tags and categories from the post display. In your WordPress dashboard, navigate to the Appearance → Theme Options page. Under the “Display options” section, check the appropriate options to prevent them from displaying on all posts and pages. Toggle on or off a search bar at the top of your blog page. Remove gallery and image posts from your blog page. Avid features a semi-transparent background image that overlays the background pattern your site. Avid comes with 3 choices for background images, which you can select on the “Background options” section of your Theme Options page. You also have the option to upload your own semi-transparent background image. 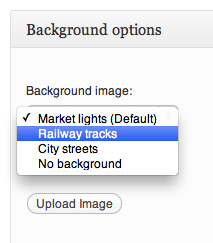 If you choose this option, the default background image will be hidden. Experiencing scrolling issues? Navigate to Appearance → Background. Under Attachment, select Scroll. Be sure to click Save changes. Sharing buttons are controlled under the “Subscribe links & copyright” section of the Appearance → Theme Options page. To disable all footer icons (including RSS), check “Disable all icons”. Under the “Subscribe links & copyright” section of the Appearance → Theme Options page, you will find the input field for your footer Credit line text. By default, this field is left empty. The Avid Theme Recent Posts widget is featured in the footer of the demo site. 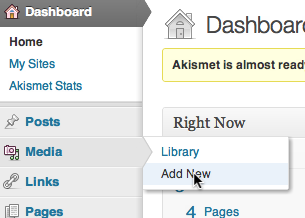 This is not a standard WordPress widget; it is a feature of Avid. This widget can be added to anywhere in your footer or sidebar, but it was originally designed to be in the Right Footer of your theme. The widget displays the title and a brief text-only excerpt of your 2 most recent posts. The Avid Theme Recent Posts widget will not be carried over if you switch themes. Avid contains a number of different images shapes and sizes. If you are migrating an existing site to Avid, you may notice that many of your images do not look quite right. This is due to the way WordPress generates the various image sizes a theme needs. To regenerate image sizes for preexisting images, we recommend the Regenerate Thumbnails plugin. Install and activate the plugin, go to the Tools → Regen. Thumbnails screen on your admin panel, and click the Regenerate All Thumbnails button. Your images will have the proper sizes generated for use with Avid. The Avid demo site made use of the Sharpen Resized Images plugin, and if you install this plugin Avid will make a small modification to improve image sharpness. This plugin only sharpens images generated after the plugin is installed. To apply sharpness filters to all your images, use this plugin in combination with the Regenerate Thumbnails plugin mentioned above. Where a height is not provided, feel free to use any value. The timeline and gallery views crop your gallery’s featured image to a landscape aspect ratio – specifically, 863px by 521px. If you have a gallery of portrait-orientation (tall) images, the featured image may not look very good when cropped to these dimensions. However, there is a workaround that can allow you to set a featured image for a gallery without including the featured image in the gallery itself. Here, you’ll upload an image that fits the aspect ratio for the featured image a little better – you can crop the image beforehand using an image edit program. Since you’re uploading this image separately from the gallery, it will not be included in the slideshow. Then, select the image you just uploaded, and click Use as featured image. After completing these steps, your portrait gallery should have a featured image that works with Avid’s dimensions. If you are comfortable making PHP modifications to your child theme’s functions.php file, you can also have a look at the code outlined in this support topic, which will change the way WordPress crops portrait-orientation photos to use the upper half (instead of the center) when cropping. Make sure to read about replacing theme functions if you’re unfamiliar with the process.